Lock in a great price for Aurinko – rated 8.8 by recent guests! Понравилось месторасположение. Рядом набережная - хорошо погулять и подышать свежим воздухом. Сам отель чистый, уборка хорошая. Есть кухня, где можно что-то приготовить или просто попить чай. Рядом большая бесплатная парковка. Удобное месторасположение, до причала пешком 10 минут, до центра города (площадь на набережной) минут 20. Есть кухня. Чистый небольшой отель эконом-класса. Прекрасно оборудованная большая кухня, хороший напор воды. В каждом номере свой водонагреватель. 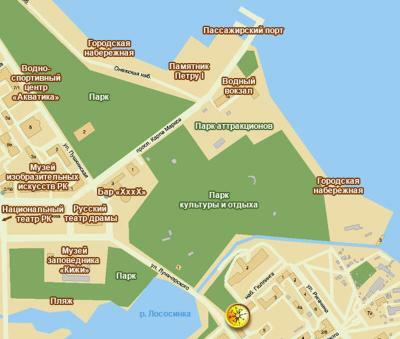 До центра города 20 минут пешком или 3-4 минуты на такси. Очень уютный и теплый номер. Чисто. Мягкие кровати. Уборка каждый день. Чисто, тихо, мягкая кровать, приветливый персонал и отличное расположение! Aurinko This rating is a reflection of how the property compares to the industry standard when it comes to price, facilities and services available. It's based on a self-evaluation by the property. Use this rating to help choose your stay! One of our best sellers in Petrozavodsk! A 5-minute walk from the shores of Lake Onega, this hotel features free Wi-Fi and a 24-hour front desk. Lunacharskogo Street bus stop is a 3-minute walk away. Aurinko Hotel’s rooms offer neutrally-colored interiors and simple furnishings. Each room includes a TV and private bathroom. Guests can use the hotel’s well-equipped kitchen to prepare their own meals. Guests can also order breakfast at the hotel. A 10-minute walk takes guests to Petrozadvodsk city center, where they will find a variety of shops and restaurants. 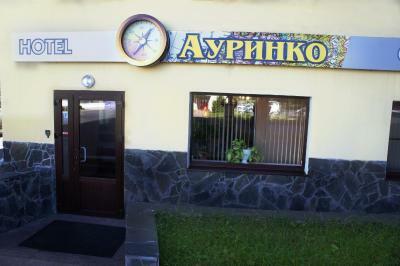 Lenin Square is a 5-minute walk from Aurinko Hotel, as is Petrozavodsk’s drama theater. Petrozavodsk Airport is a 40-minute drive away, while Petrozavodsk Train Station can be reached in only 15 minutes’ drive. The hotel can arrange shuttle services. When would you like to stay at Aurinko? Individually decorated room with a TV, work desk, and private bathroom with complimentary toiletries. 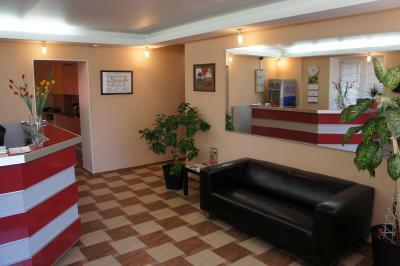 Private parking is available at a location nearby (reservation is not needed) and costs RUB 100 per day. House Rules Aurinko takes special requests – add in the next step! All older children or adults are charged RUB 400 per person per night for extra beds. Aurinko accepts these cards and reserves the right to temporarily hold an amount prior to arrival. Please note that the kitchen is open for guest use from 8:00 to 22:00.